Oprah Winfrey made multiple campaign stops in Georgia on Thursday to support Stacey Abrams, the state’s Democratic nominee for governor, just five days before the midterm elections. The 64-year-old media mogul spoke at a rally in Marietta, where she told the crowd she is registered as a political independent. As the crowd roared with cheers and applause, Winfrey said she admired 44-year-old Abrams for how she was “handling herself’ despite all the “haters” she has. Abrams, a former minority leader of Georgia’s House of Representatives, has been leading a fight against her Republican gubernatorial opponent, Georgia Secretary of State Brian Kemp. She could become the nation’s first black female governor. Kemp has been accused of massive voter suppression in the state through his office’s rule that voter registrations and other documents show an “exact match.” The policy has been revealed to overwhelmingly target African-Americans and other minorities. A new poll this week shows Abrams leading Kemp by .2 percent. WInfrey went on, saying she is confident Abrams will “serve the underserved” in Georgia. 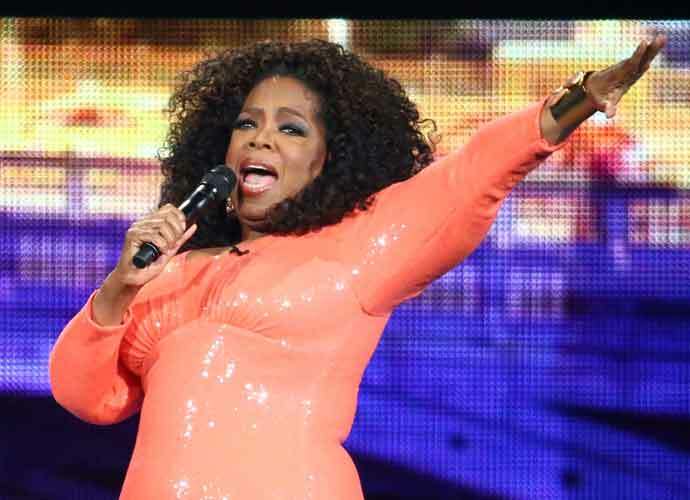 “If you’re woke just a little bit, you know everyone is not treated equally,” Winfrey stated. Winfrey also reiterated a statement she made earlier this year when there was speculation she would run against President Donald Trump in 2020. Shortly after her speech at the Golden Globes in January, the media mogul insisted she had no intention of running for president. On Friday, Winfrey also knocked on doors in Georgia to encourage people to vote for Abrams. Meanwhile, Vice President Mike Pence also campaigned for Kemp in Georgia on Thursday and slammed Oprah and other Hollywood celebrities he said were helping to “bankroll” Abrams. The crowd booed as Pence mentioned the famous stars’ names. “I’d like to remind Stacey and Oprah and Will Ferrell… I’m kind of a big deal, too,” Pence said while speaking in Dalton, Georgia. “I got a message for all of Stacey Abrams’ liberal Hollywood friends: this ain’t Hollywood, this is Georgia,” he added as the crowd cheered and applauded.